Combining vending and mobile display, this mobile concession trailer with a fully customized interior was designed and built as a custom mobile marketing solution with wrap-around graphics. Have something to sell? We'll help you build an attention getting concession trailer. 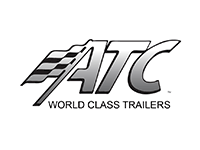 Let Advantage Trailers build you the best concession and display trailer in the country. We specialize in designing and building the very best trailers, in any size, with any feature or decal wrap you need to make you stand out in the crowd. 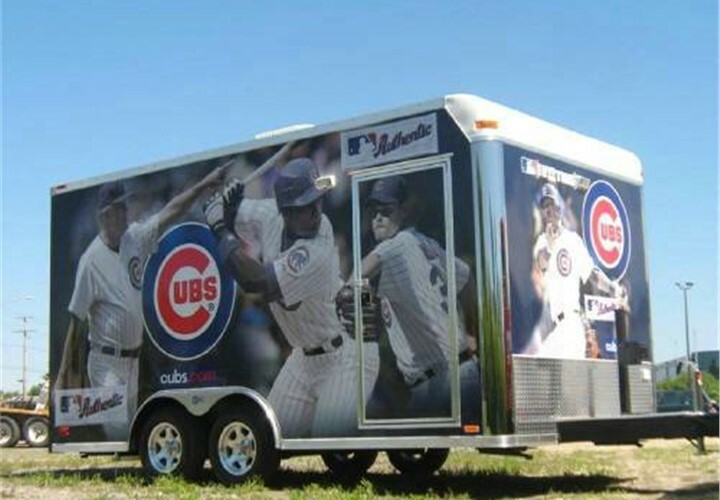 If you've been to see the Cubs play at Wrigley Field, you've likely seen this fully set up Mobile Concession trailer selling licensed MLB apparel. The best team deserves the best trailer! Advantage Trailers combined efforts to build the best looking trailer in baseball. 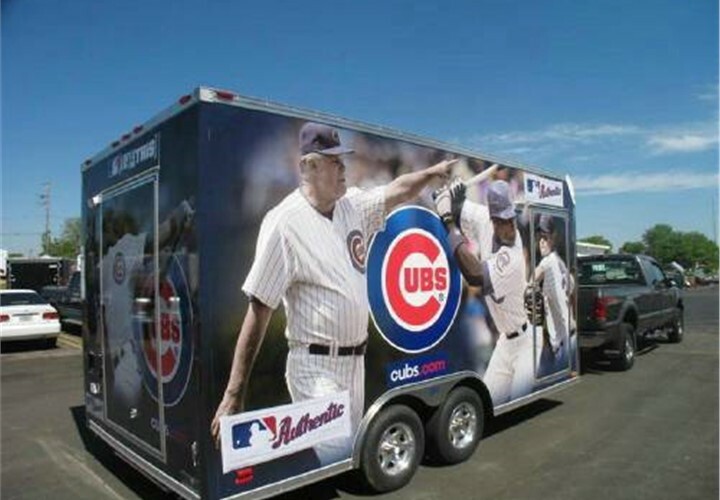 On May 28th, Advantage Trailers delivered the 8.5' x 16' custom Concession Trailer to Wrigley Field. 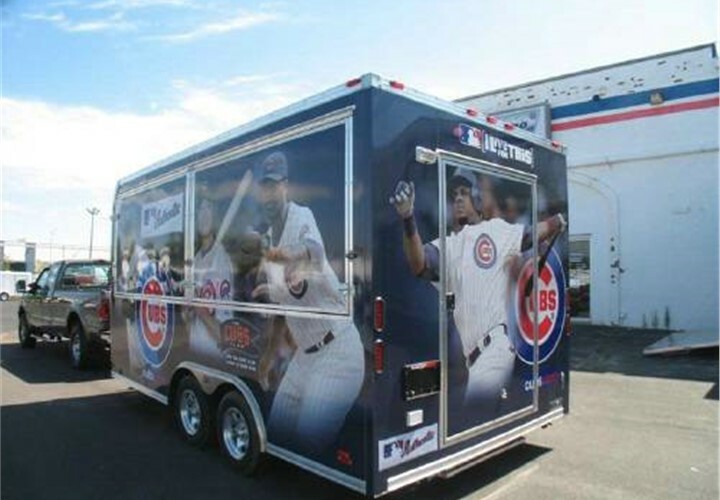 This trailer was built for the Chicago Cubs and for all Chicago Cub fans around the world. 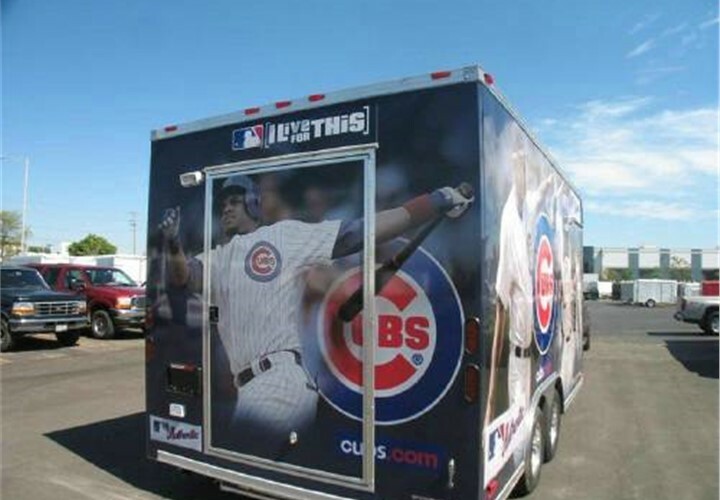 With anticipation of The World Series this year, we are hoping that this trailer can break the curse that has plagued the Cubs for so many years. The trailer has lower cabinets for storage and display areas, a full electrical package along with air conditioning and a great-looking exterior. This is the full package if you are looking to dominate your competition. Go with Advantage Custom Trailers in Carol Stream, IL (just west of Chicago). We ship all over the world. Advantage Trailers will help you make your business be on top of your game. Just give us a call.